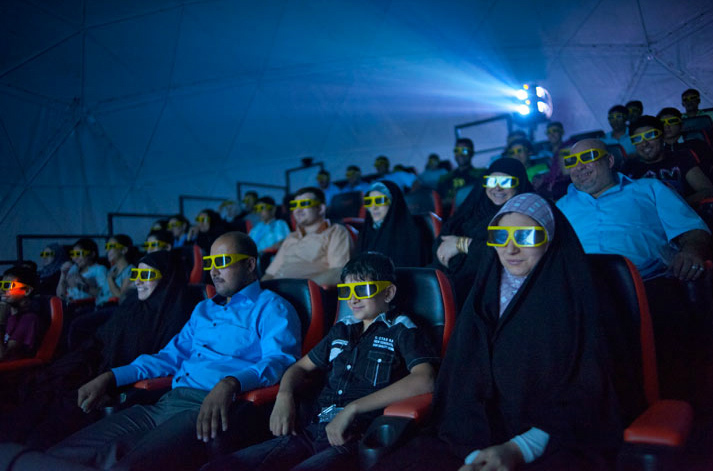 Moviegoers at Baghdad's first 4-D cinema get an extra thrill from shaking seats and wind machines during a 3-D sci-fi film. During the worst years of violence, families stayed home to watch TV or DVDs. Most cinemas closed, as did this one, though it has plans to expand and reopen.